Amazon invited me into their AMAZON VINE review program. I truly do not know what it takes to participate, but some folks value the distinction. I hope to review more books this upcoming year for Amazon Vine. 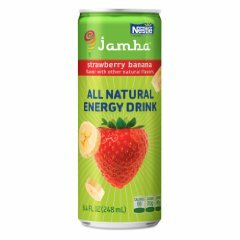 The fun part of Amazon Vine is that I will be able to review products other than books. The Spindlers would make a fun read for most children ages eight and above, in my opinion. The “evil, spiderlike beings” call spindlers can steal a soul, which is the premise of this book…so just an awareness for parents who might take issue with the “dark” side of this book. The story is enjoyable and will take readers to an underground world of mystery and adventure. The fact that Liza is concerned about her brother makes the book endearing to me. The heart of the matter being…we can “bug” our siblings as much as we want, but let someone or something else do the same…and we’d go to the ends of the earth (or below the earth, in this case) to save our sibling. Compared to many other books for children this age, I feel this one has a lot to offer for young readers. Happy Birthday, Mrs. Millie! is a fun book for children, both in listening to an adult reading it to them, and also when learning to read. The size of the book and the colorful, exciting illustrations will keep kids wanting to read it time after time. The play on words will get kids to giggle and I can imagine they will want to make up their own silly sentences. Having rhythm and rhyme always is a benefit for children's books. As a former school teacher, I am confident that children will enjoy Happy Birthday, Mrs. Millie! Don’t Be Silly, Mrs. Millie! is another in the Mrs. Millie series. These books make great read-alouds and the predictability of the vocabulary makes it super fun! The inclusion of the animals truly brings it right into the world of a child’s imagination. The artwork that complements the fun story just puts it over the top for a wonderful children’s book. 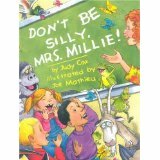 Judy Cox strikes again with another in the Mrs. Millie series. 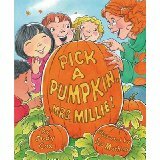 This time she takes her class of kindergarteners to pick pumpkins for their harvest party. Children LOVE these books because of their silliness and the fun they have in predicting the rhyming words. The illustrations pull children right into the story. I highly recommend these books for young readers. 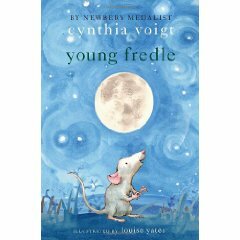 Young Fredle is a fun story shared from the perspective of a house mouse. As an adult reader, I thoroughly enjoyed the story. There are some portions that might read a bit slowly for kiddos, but ones who love animals will especially get into the story and all the adventures that Young Fredle encounters. It is amazing that this little guy could endear himself to me, being that if he were living in MY house...we'd have to do something very serious about the situation. Young Fredle does a lot of teaching in a fun way regarding so many other animals that live both within the house and outside, where he learns about the world of predators and allies. Cynthia Voigt does a beautiful job of painting the new sights and sounds that Fredle falls in love with--which he later shares with his family, when he finds his way back into the house after having not following the rules and finding himself outside. Rosetta, Rosetta, Sit by Me! is a book for third graders and beyond for inde- pendent readers. Rosetta, Frederick Douglass’s 9-year-old daughter, learns the realities of attending an all-white Quaker school. This is a well-written piece of history that gives valuable lessons for young and old. 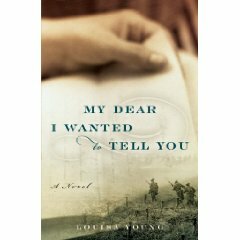 I wish there would have been more books like this when I was a young reader…as bio- graphies were high on my reading priority list.